Canadian officials have identified the suspected shooter behind the mass shooting that took place in Toronto on Sunday night as a 29-year-old man, Faisal Hussain, of Toronto, per the AP. His family said he had severe mental health issues, but his motive is not yet known, per the AP. 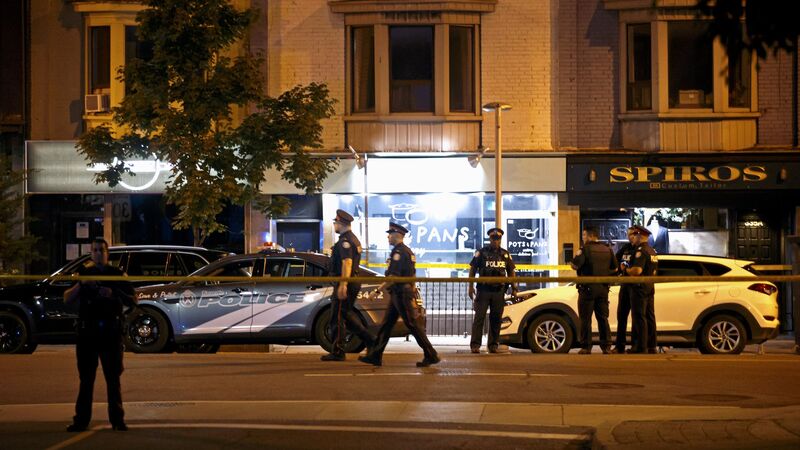 The details: He opened fire along a busy Toronto avenue, wounding 13 victims and killing two, including a 10-year-old girl and an 18-year-old woman. Police say the suspected shooter, who was killed in a gunfire exchange with authorities, used a handgun to target at least two restaurants and cafes.